The cool thing about shooting still life is my subjects never complain. This is from the archive. I shot the image back in 2008. I think it was the time when KC returned from Baltimore. Or was it? My mind is foggy now. But I remember it was Christmas season. 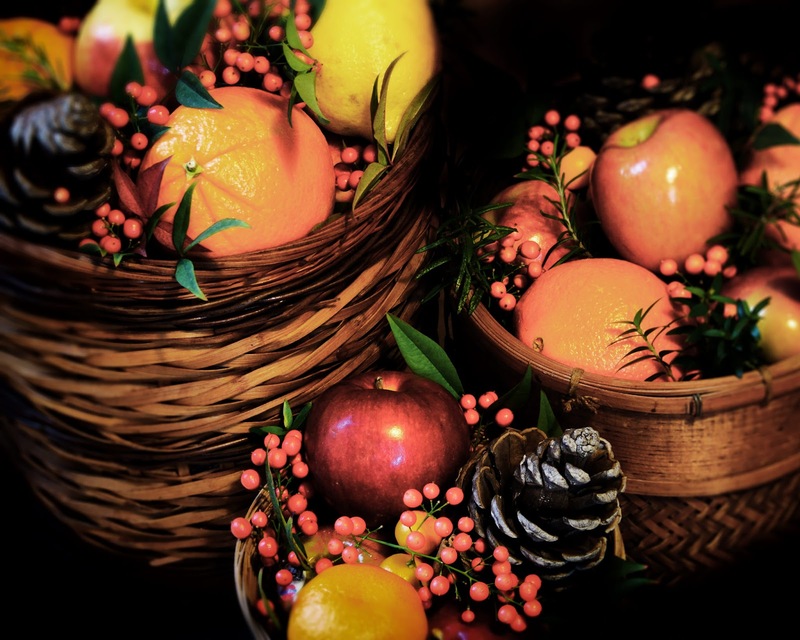 She took a bunch of fruits, and added some cones and Heavenly Bamboo from our back yard, and proceeded to create a holiday fruit basket. I didn't want to let a great work go to waste, so I decided to document it. At that time, I was just getting serious into photography. Didn't know much what I was doing. It was with an entry level DSLR - a Canon Rebel XT (or 350D if you're in Europe or Australia) and 18-55mm kit lens. Didn't know much how to use the flash either. But the picture turned out pretty decent - if I may say so. Wishing you a safe and grand holiday.